A study was completed in 2016 for the future widening and extension of Buckner Road. The long-term vision for this area is to create a gateway corridor into the northern end of the City via an envisioned I-65 interchange that would connect into an extended Buckner Road, the full length of which would be widened to five lanes (two travel lanes and a center turn lane). Within this vision, Buckner Lane also would be widened to multiple lanes. In the meantime, the City in February 2018 received conceptual approval from the Federal Highway Administration to build an I-65 interchange that will connect into an extension of Buckner Road. The future development of the massive, 775-acre mixed-use project proposed by Southeast Ventures for the Alexander Farm property bordering I-65 and Buckner Road also has hinged on approval of the interchange. The traffic impacts from that project -- which will include large office space, commercial retail, a wide range of residential units, and park space -- helped warrant the need for an I-65 interchange at Buckner. 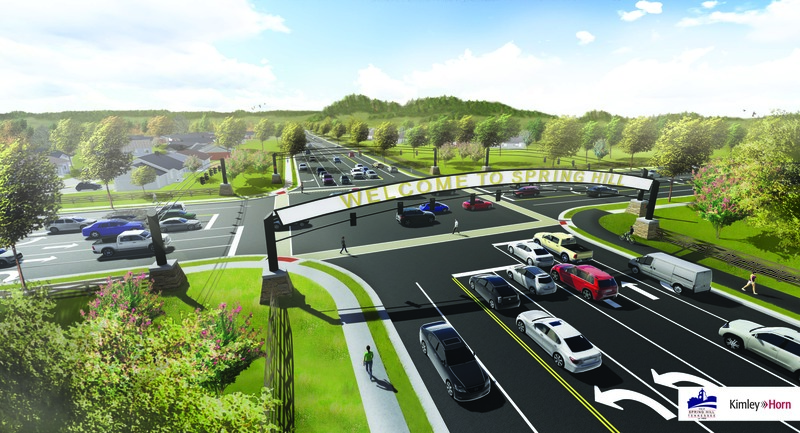 In June 2017, the Board of Mayor and Aldermen (BOMA) passed the 2017-18 budget, which included $500,000 in capital improvement funds for the design of the Buckner Road project. The City will be holding more public meetings about this project in 2018.